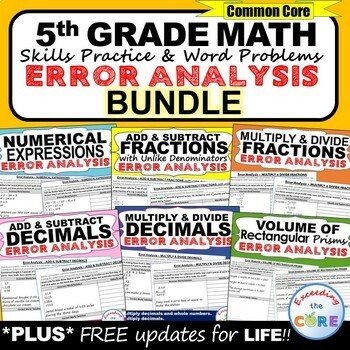 Math error Analysis activities and tasks for middle school grades 6-8. 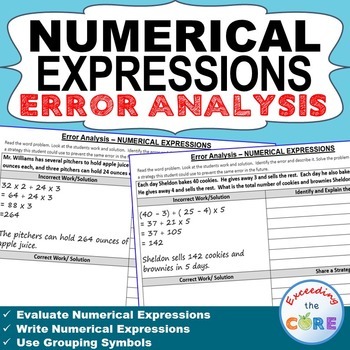 Have your students apply their understanding of 5th grade math concepts with these ERROR ANALYSIS activities. 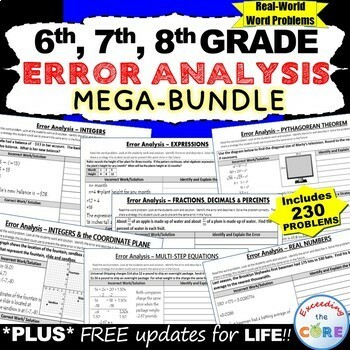 Each resource includes 10 real-world word problem that are solved incorrectly. 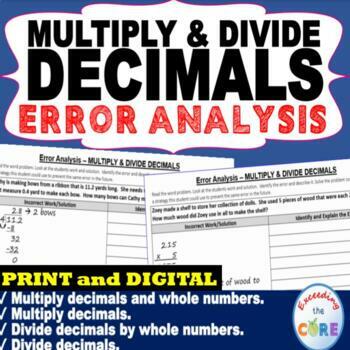 Students have to IDENTIFY THE ERROR, provide the CORRECT SOLUTION and share a helpful STRATEGY for solving the problem. 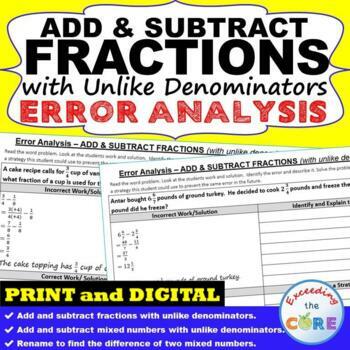 An ANSWER KEY has also been provided with examples of possible answers. 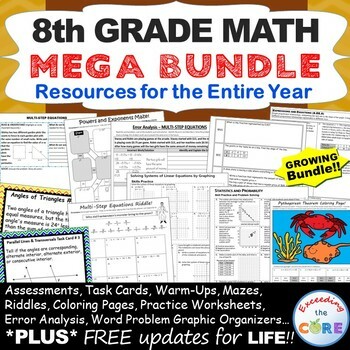 Be sure to download the sample at my TPT Store for a full overview of what you get. 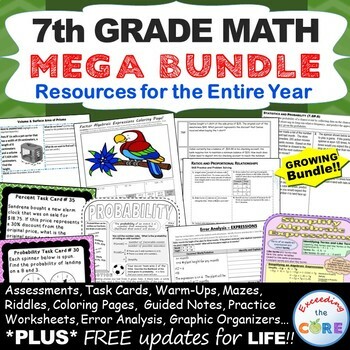 If you don't see the topic you need please check my TPT store. 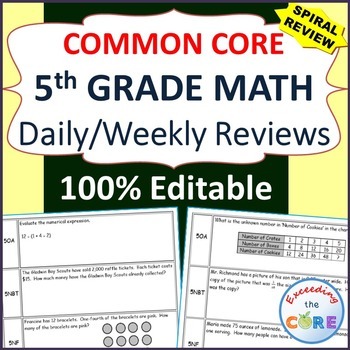 ♥ I used this as extra review and it allowed me to change up the routine with my students! Great Product! 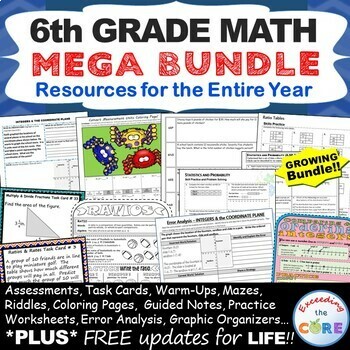 ♥ My kiddos loved this as did I! We used CUBES to solve them too! ♥ This is exactly what I needed! Thank you so much! ♥ Wonderful! Love all the levels and skills you offer! 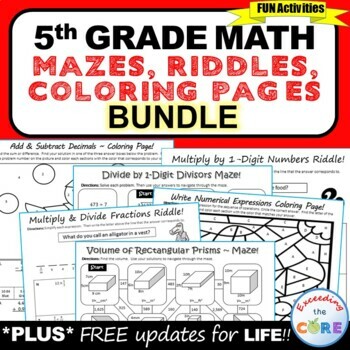 Perfect for enrichment! 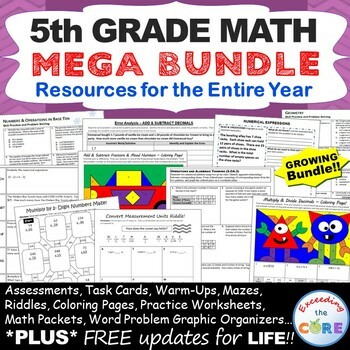 Get the Newsletter & Freebies!